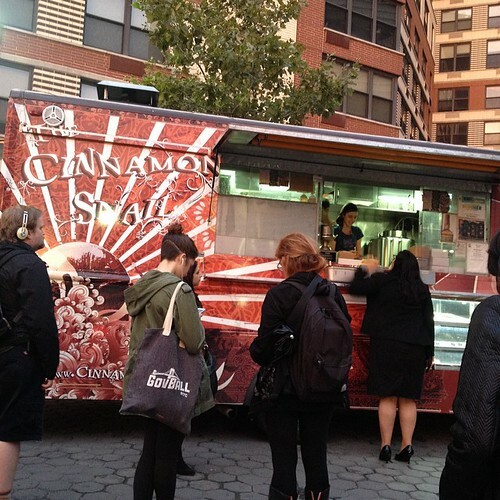 When I first heard about Isa Chandra Moskowitz going on a culinary tour I knew that I had to go. I immediately posted on facebook seeing who would go and of course my vegan bestie, Dianne, jumped on board and snatched up 4 tickets for the two of us and our husbands. My husband was a bit skeptical about the whole thing. He didn’t really understand what would actually be happening and quite frankly neither did I. I just knew I wanted to see Isa speak and eat her food. We arrived early and with ease. NYC on Superbowl Sunday is a ghost town. It was great! It was fun to just sit and chat and people watch. Waiting to see people we know in real life or recognize from online. When it was time for the whole evening to officially start our first course was brought out. 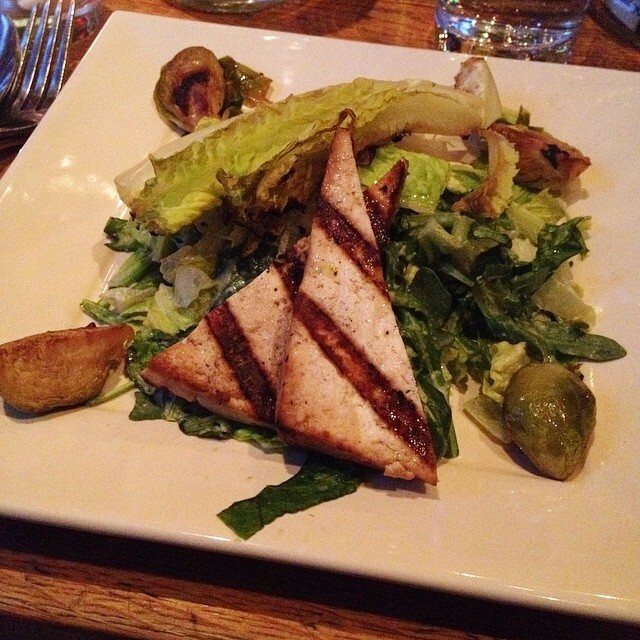 It was a Caesar Salad with Brussels Sprouts it came with grilled tofu, tahini caper dressing and pine nuts. Our plates unfortunately didn’t get any of the pine nuts. Through instagram I can tell that a lot of people did get pine nuts so it was just a mishap for us..I guess? Besides the missing pine nuts it was a delicious salad! The tofu was perfect. Just perfect. We aren’t big tofu eaters, especially my husband, and he even liked it. He also doesn’t like Brussels Sprouts but by the magic of Isa he enjoyed these. This was the course I was looking forward to the most. The Tamale! I love tamales. Love them. I happened to also really love this tamale. Made with a lentil chorizo and served with guacamole and mole rojo. The menu said it came with a coconut sour cream but like the pine nuts…we didn’t get it. Besides the missing sour cream, like the pine nuts above, it was a great dish. 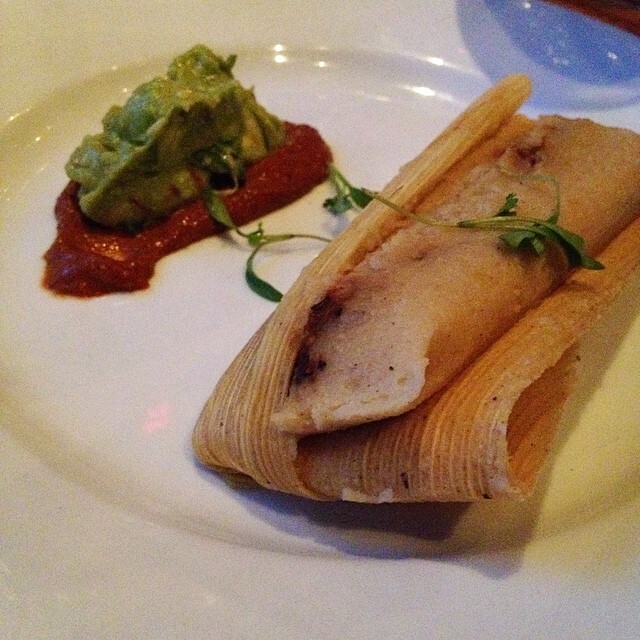 The tamale had a perfect texture and the filling wasn’t overpowering. The guacamole was fresh tasting and the mole rojo had a great cinnamon flavor to it that mixed well with everything else on the plate. 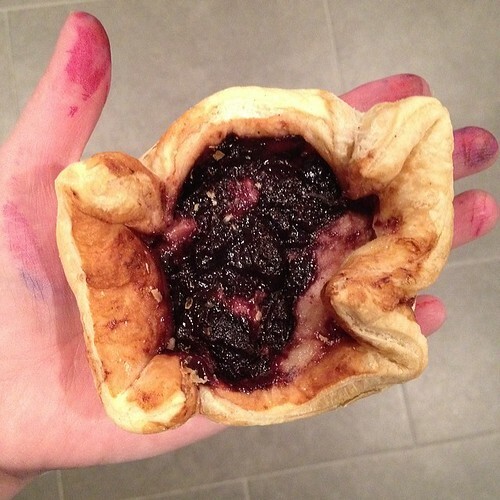 I wish I could have eaten another one! 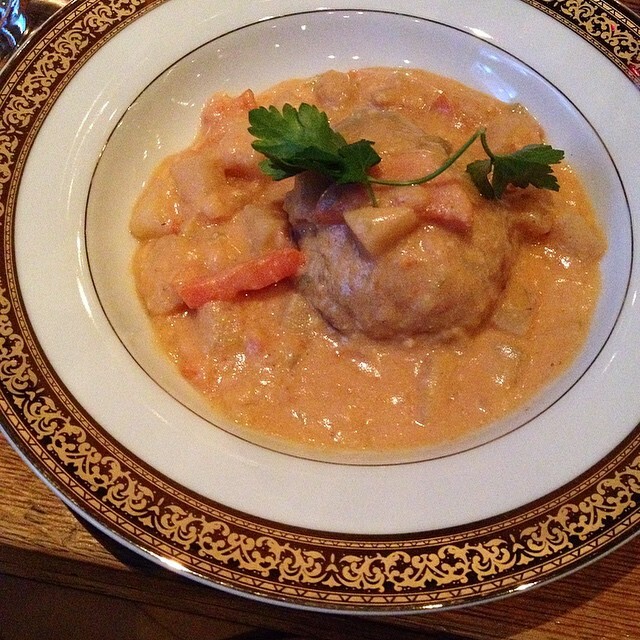 Chickpeas and Dumpling, a creamy chickpea stew. It was a great dish for a snowy night. So comforting and warm. I’ll eat anything that has a dumpling in it. The secret to this dish, as demonstrated by Isa cooking on stage, was adding cashew cream to the stew. A favorite trick of mine to use at home. Cashews make everything better in my opinion. 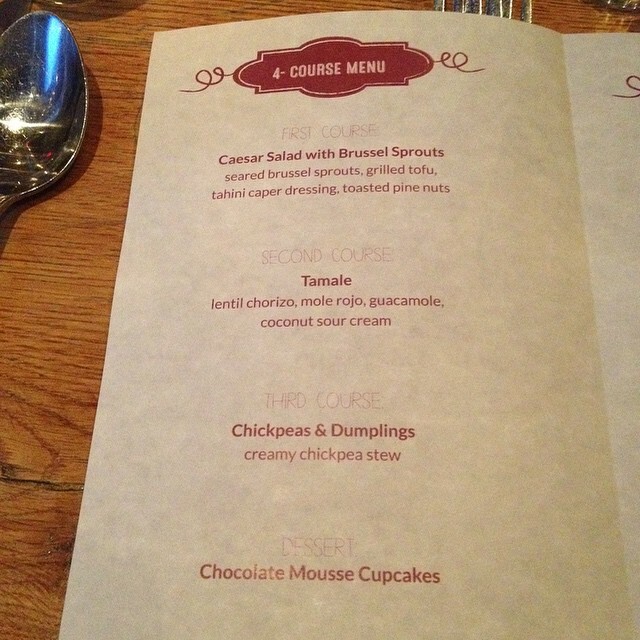 Of course the perfect way to end a meal is with a chocolate cake…or Isa’s Chocolate Mousse Cupcake. 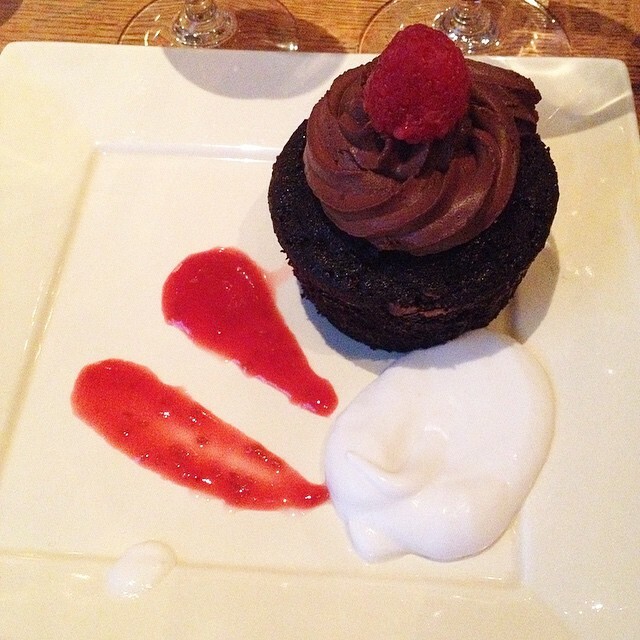 A chocolate cupcake, chocolate mousse on top, coconut whipped cream and raspberry sauce. It doesn’t get any better. I will say that I found the cake to be very salty BUT I liked it. I don’t know if that was a mistake in the kitchen or intentional but I really liked it that way and would eat it that way again, happily! Isa was of course her charming and beautiful self onstage. Telling us about each course, showing us how she made some of the components, answering questions from the crowd about cooking, her new restaurant Modern Love and beauty tips like how she gets her eyeliner so perfect. It was such a lovely evening with great friends, good food and no traffic while driving back to NJ in the snow storm that was just beginning as we left! I would do it all over again! Yay Isa! 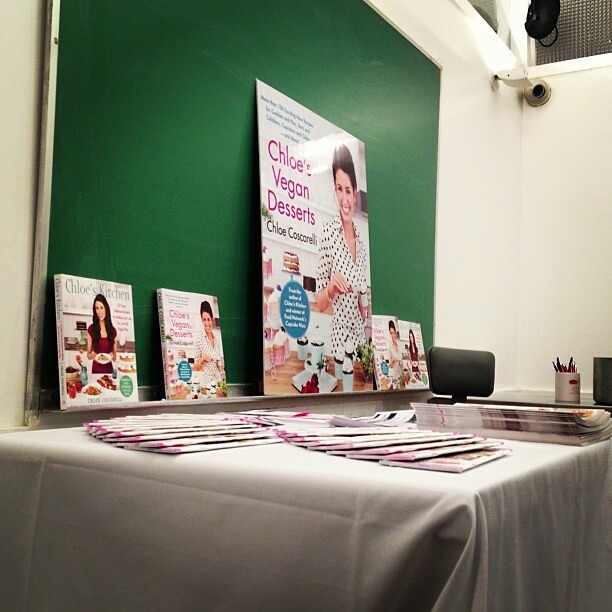 Last week my friend Dianne aka VeggieGirl headed into NYC to attend a book signing for Chloe Coscarelli’s new vegan dessert book. It was held at the Natural Gourmet. It was weird sitting in the same room that I took my cooking exams in when I was a student in their Chef’s Training Program. The small space was packed. We were lucky to get a seat right up front. Chloe came in. Answered some questions. Gave away a few gift bags (I WON ONE OF THEM!) and then signed some books. 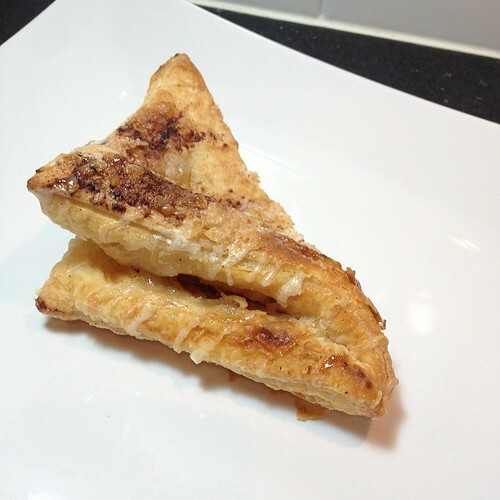 We got to nibble on some recipes from her new book. The donut was my favorite! I can’t wait to get to my hands dirty baking from this new book. 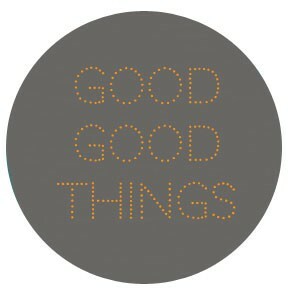 Everything looks wonderful. Before the book signing we went straight to Terri, which is a few blocks away from the school. 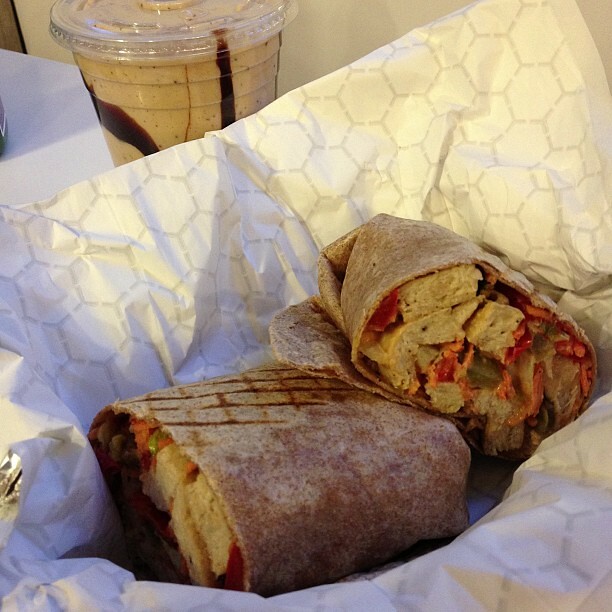 Dianne and I both chose the Thai Chicken Wrap which is made with vegan chicken, mixed peppers and a peanut sauce. The peanut sauce was really good but had a slow burn to it. It didn’t notice it until you were halfway done. I kinda like when that happens. Dianne was smart and bought a pressed juice to drink. I was crazy and ordered my favorite Butterfinger Shake. I ended up tossing it on the way to the signing. It was too cold out to be drinking a milkshake! I’ll just wait until it warms up again before ordering one again. 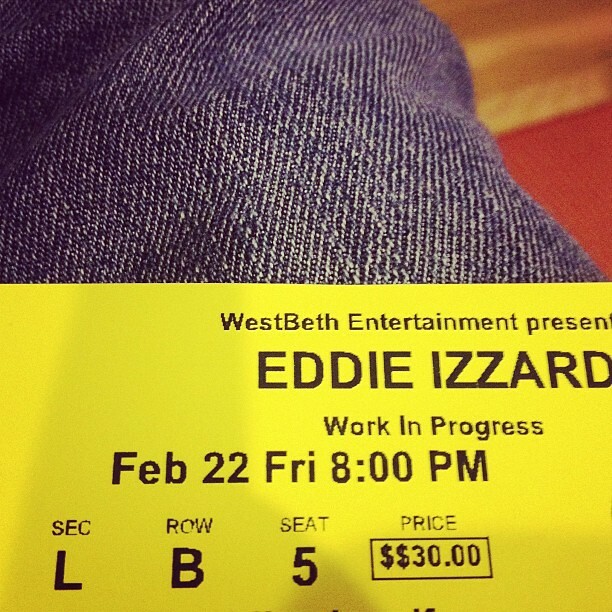 On Friday I had tickets to see Eddie Izzard in NYC. VeggieGirl and VeggieGuy were going and my husband and I were suppose to go. Peter ended up staying home with the kids because of the rare occasion that we didn’t have family members available to watch the kids. I ended up bringing my sister with me which worked out for the best anyway since she is a much bigger Eddie Izzard fan then my husband is. It was a tiny theater and it was amazing. This is the 3rd time I’ve seen him and the 1st in such a small setting. It was definitely the best show of his I’ve been to. 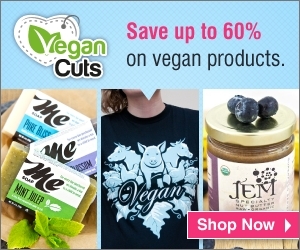 VeganMoFo Day 5! I missed Day 4. I was busy attending a talk at Whole Foods with Rip Esselstyn from The Engine 2 Diet! I once worked, for a short while, at a very well known vegan restaurant in NYC. The job was short lived which turned out to be the best thing for me since I got a better job afterwards. What I missed most about that job though was the Pumpkin Pudding they made. Oh my goodness was it good! I wasn’t privy to their dessert recipes while I was working in the kitchen so I have no idea how they made it. I’m pretty sure it involved blending up pumpkin with tofu. 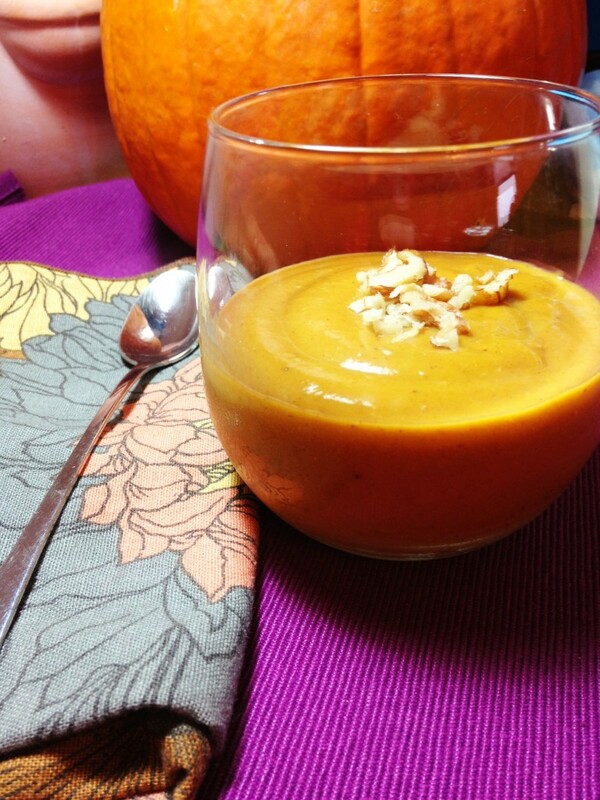 I’ve been wanting to make my own tofu-less Pumpkin Pudding for years now. VeganMoFo has giving me that opportunity. Since I’m only posting about various pumpkins and recipes this month I’m forced to come up with new stuff and have finally gotten around to making up this recipe. It is very easy to make. You just blend everything up in a blender and then whisk it over low heat on the stove until it’s thickened. It probably takes less then 15 minutes. Everyone who taste tested it for me loved it and wanted more. 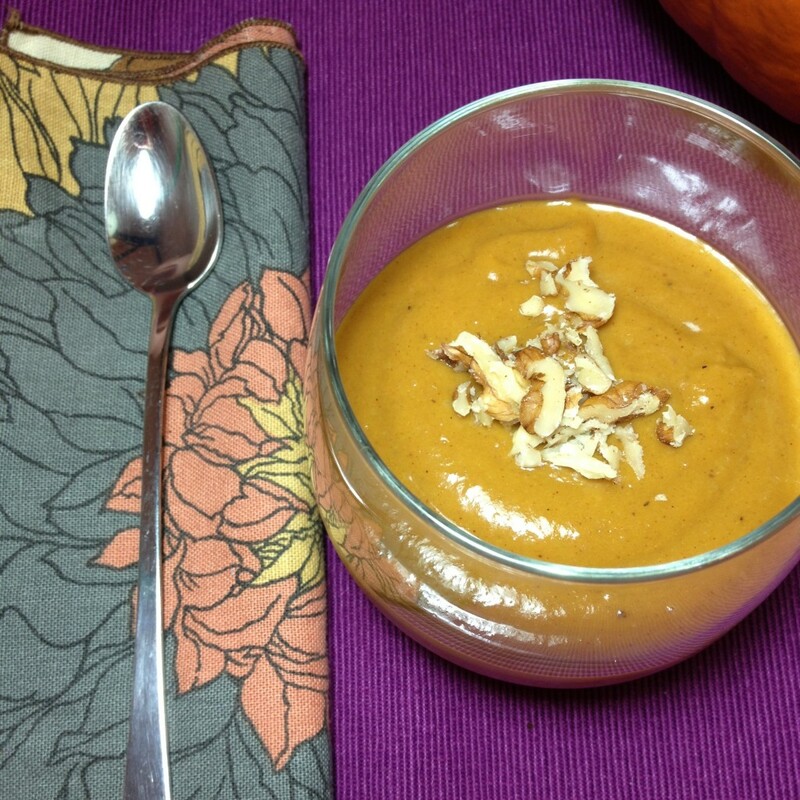 Optional: chop a few tablespoons of walnuts or pecans to top the pudding when serving. Place all of the ingredients into a food processor and blend to combine. Pour into a medium sized sauce pot and heat over medium high heat. Whisk constantly until thickened. Mine thickened around 5-7 minutes. It will all depend on the heat level. Transfer to a bowl and let cool a few minutes before placing in the fridge to completely cool. When ready to serve give it a good whisking. Ladle into bowls or round drinking glasses. Top with chopped nuts if using. 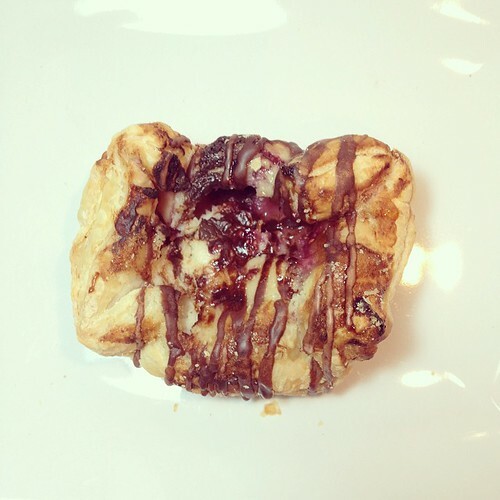 Over the summer I wrote about taking a food writing class in NYC and the food my friend Dianne and I ate. I mentioned having a Butterfinger Milkshake at Terri and how I’ve only ever ordered a Butterfinger Milkshake at Terri and that I’ve never actually eaten food that they serve. 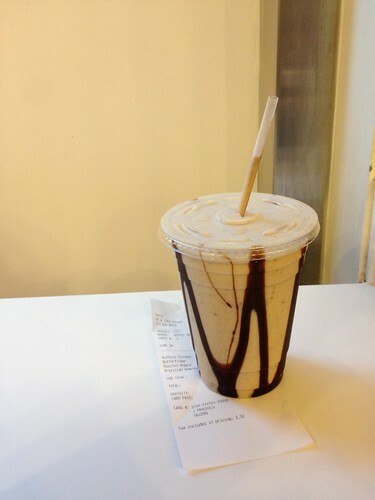 Well I finally got a chance to eat a proper meal there…of course….with a Butterfinger Milkshake! First I’ll admit that my husband and I weren’t suppose to eat at Terri the night we were in the city. We had reservations at another vegan establishment but a broken down bus just past the tolls to the Lincoln Tunnel made us miss that reservation. I was sad about it but perked up when I realized that Terri was actually on the way to where the second part of our evening was to take place. It ended up working out for the best. I knew immediately what I was going to order. I’ve been eyeing their Buffalo Chicken Sandwich on the menu each time I’ve gone in and only ordered a Butterfinger Milkshake. Buffalo Sauce is one of my favorite foods. Period. The sandwich comes with celery on it and if there is one thing I don’t like in the food world it is celery (and seaweed). I’ve tried to like it and it just isn’t happening although I have become a bit more tolerant of it in things. I was going to ask them to not include it in the sandwich but decided last minute not to. I’m happy I did because it added a flavor to the meal that I actually didn’t mind for once in my life. The crunch the celery added to the sandwich was a welcome event in my mouth. 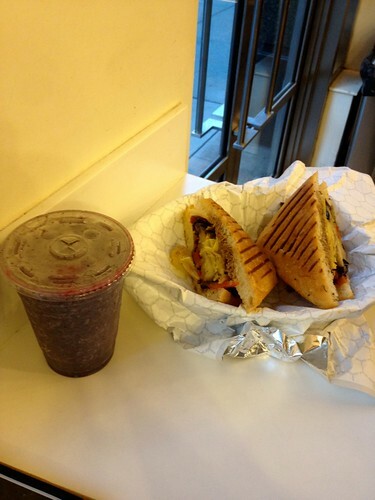 My husband is not much of a meat analog type of guy so he went with the Roasted Vegetable Sandwich and a smoothie called Brazilian Bombshell. 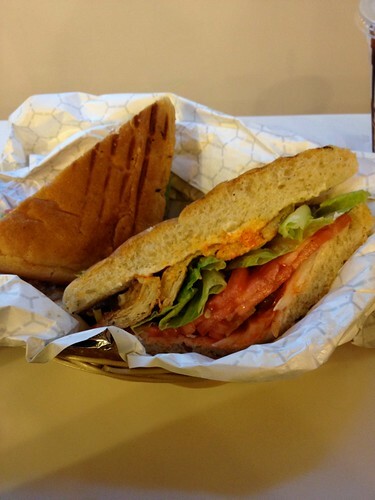 The sandwich was loaded with eggplant, squash, sun-dried tomatoes, peppers and kalamata olives. He loved it and I loved the look of it. 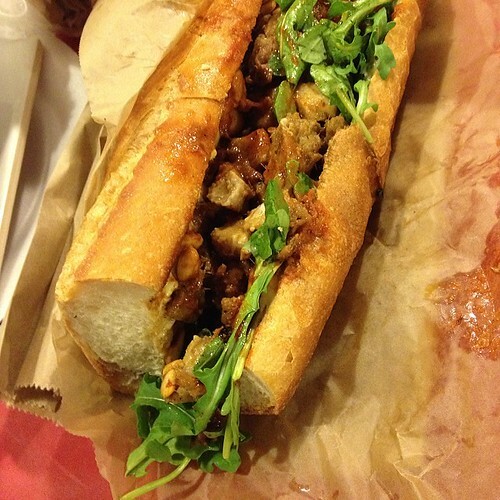 I’ve decided the next time I go to Terri I’m going to order this sandwich for myself. The Brazilian Bombshell smoothie he had with his meal was also great! Since it is a Brazilian smoothie it just has to have acai´in it and it did as well as cherries, blueberries, mangos, bananas, soymilk and agave. The next time we go to Terri I’m going to make him order this again and steal sips from it. I won’t be ordering it for myself because I’ll be ordering myself my usual Butterfinger Milkshake!